The client sought a reputable and competent electrical contractor to carry out all stages of electrical design and installation working in conjunction with the main building contractor. It was imperative that the various electrical systems were suitable to meet the demands of the size and amenities within this University facility. DMU’s new Vijay Patel Building, home to the faculty of Art, Design and Humanities, is the centrepiece of the £136 million Campus Transformation Project. 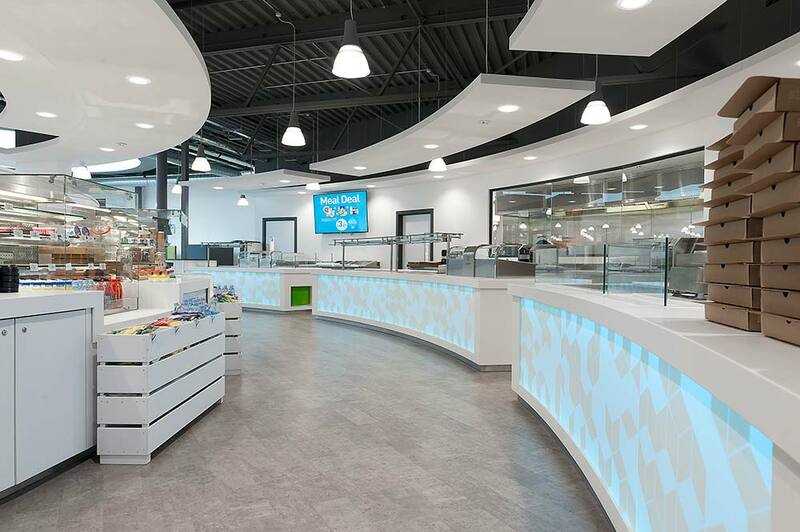 Lowe Electrical worked on this project with foodservice design experts; CDS Wilman and contract catering leaders; Chartwells, who are part of the Compass Group. A team of six Lowe engineers worked on site for over six months, managing and delivering the vision that the University set out to achieve.